Sometimes we have to put an iPhone in recovery mode to fix an issue like it won't detect by iTunes or gets stuck on Apple logo. The operations of entering recovery mode are slightly different from different iPhone models. In this guide you'll learn how to enter recovery mode on iPhone XR/XS/X as well as how to fix iPhone X/XR/XS stuck in recovery mode easily. iTunes doesn't detect your iPhone and says it is in recovery mode. Installl an iOS and your device gets stuck in a continuous restart loop. Update to an iOS beta version and there is a bug. iPhone X is stuck in Apple logo or connect to iTunes logo during/after jailbreak. You forgot your iPhone passcode, and are locked out. Yes, it is. You do not need to worry which button to press and how long you should press the buttons to put iPhone X in recovery mode. Free iPhone Recovery Mode Software lets you get your iPhone X in and out of recovery mode without pressing any buttons. All you have to do is install this freeware to your Windows or Mac computer and connect your device to computer. Just see how easy it is. After you connect your iPhone X or other iOS device to computer via USB cable. 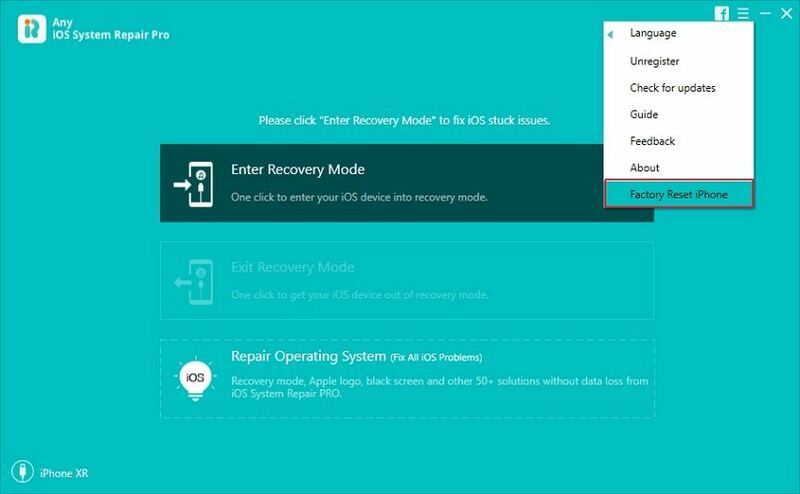 Any iOS System Repair will detect your device, and you can click "Enter Recovery Mode" to put your iPhone into recovery mode. Within 10 seconds, you'll find iTunes logo/USB cable appears on your device screen, which means you've entered into recovery mode successfully. What to do when an iPhone X is stuck on recovery mode? iTunes will suggest that you have to restore it, but actually you can get your iPhone X out of recovery using Any iOS System Repair without restoring. Any iOS System Repair will detect an iPhone in recovery mode automatically, and the "Exit Recovery Mode" choice is highlighted. Click on it and wait for your iPhone X/XR to exit recovery mode. Some people are curious how to get iPhone XR or iPhone XS/X into recovery mode using buttons. Here are the steps for you to try. Step 1. 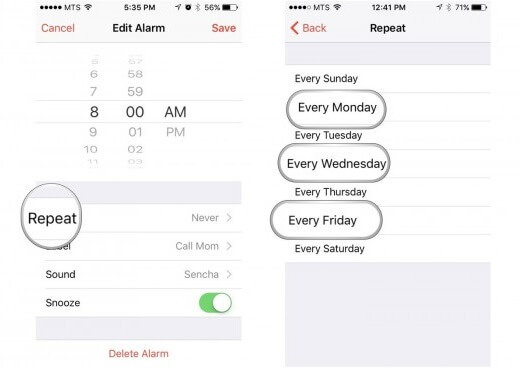 Turn off your iPhone: Hold down Power button for a few seconds until you see slide to power off option. Step 2. Connect your iPhone X/8/8 Plus to computer. Step 3. 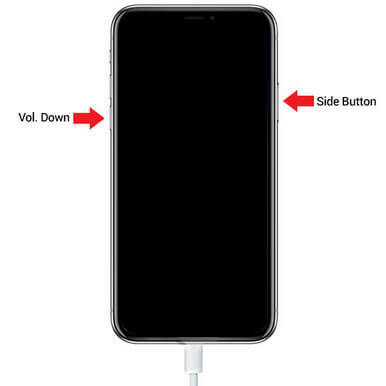 Press and release the Volume Up button, then press and release the Volume Down button and then press and hold the Side button till the iPhone reboots and you see the Apple logo. The device will display the Apple logo. Don't let go the Side button until you see the iTunes logo screen. In many cases recovery mode is a must step to rescue an iPhone/iPad. Any iPhone Recovery Mode Tool is the highly rated free tool to reboot an iPhone X/8/8 P/7/7 P/6/6s/5s, etc. from recovery mode loop. If your iPhone X runs into other system problems like stuck in DFU mode, iPhone X won't turn on, you can repair iOS system to fix all these problems without data loss using iOS system repair software.